Pollution plume from Siberia mixing with clouds in the Arctic in July 2012. Contour lines indicate carbon monoxide concentrations. Ice clouds appear blue and liquid clouds appear white and gray. Credit: MODIS/NASA/Quentin Coopman. It is a well-known fact that pollution is a leading factor in global warming. In a recent research study involving University of Utah researchers, air pollution was found to possibly shorten the lives of Arctic clouds, too. Pollution plumes aid in the freezing of cloud moisture at higher than normal temperatures. When the clouds freeze, their moisture is dropped as snow and the clouds dissipate quicker. Snowfalls occurring earlier in the season have become more common in the Arctic as a result. Air pollution can also alter the formation and dissipation of arctic clouds. Clouds can act as an insulator, holding in heat or reflecting solar energy. This is bad news to the already fragile Arctic environment as clouds are unable to mediate surface temperatures during summer. Along with the increasing ground temperatures, according to the National Oceanic and Atmospheric Administration, the Arctic has been experiencing record lows of sea ice recently. Air pollution has been traveling northward for almost 150 years. The pollution is naturally blown towards the Arctic by the dominant air circulation pattern that moves northward from the lower latitudes. Once pollution arrives in the Arctic, it becomes trapped in a temperature inversion, one that is similar to the inversion we in Salt Lake experience every winter. An inversion occurs when warm air sits above cold air and traps the cold air in its place. Pollution is unable to dilute due to its entrapment and thus the pollution concentration increases. Utah’s atmospheric sciences professor Tim Garrett and graduate student Quentin Coopman published a paper earlier this year with their team illustrating how Arctic clouds are up to seven times more sensitive to air pollution than other clouds. Their paper shows that the fossil fuel emissions and pollution plumes from Asia and Europe are significant contributors to the current situation in the Arctic. For their research, Garrett, Coopman and their constituents simulated air pollution plumes so that satellites could observe what happened when these modeled plumes interact with clouds. This allowed the team to study air pollution and clouds at the same time. The results suggested that the plumes lowered the amount of cooling need for cloud droplets to freeze by almost seven degrees Fahrenheit. 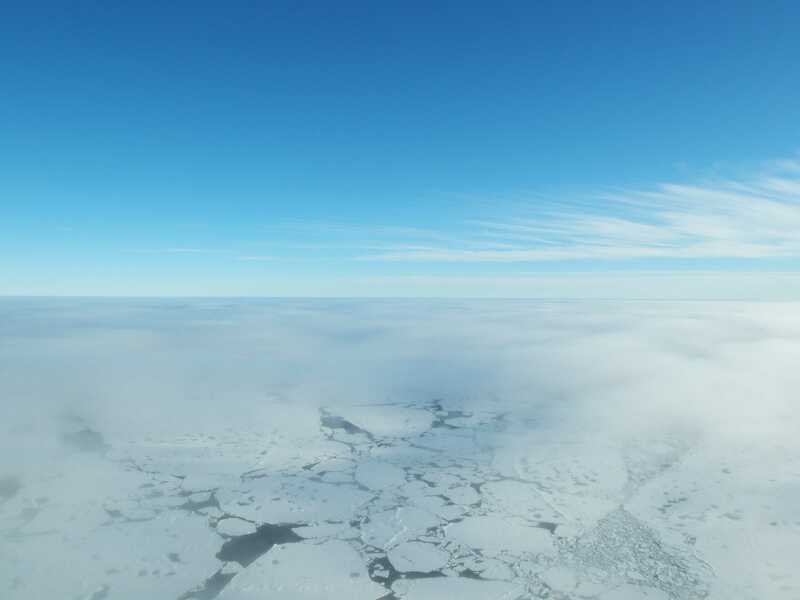 The team found that the clouds’ sensitivity to these pollution plumes might be due to the Arctic’s air mass stillness. The lack of air turbulence may explain why the Arctic air can be easily perturbed by pollution. Air pollution that is a result of human activity is also more influential on clouds than natural pollutants like forest fire smoke. The team found that aerosols were an especially powerful influencer in cloud lives — however, more research is needed to show what exactly about the plumes leads to this shift. Controlling the airborne particulate matter could ease the impact of pollution in the Arctic. Clouds would have longer lives, allowing them to correctly regulate the ground temperature. This, in turn, would help preserve the Arctic’s fragile and unique ecosystem.